Wearable technology is in the early stages of development but there have been several strides made in the field. Samsung is arguably the leader in the use of wearable technology since they already have a phone that has an accompanying wrist controller. The wrist controller only gives basic functions such as receiving calls and checking your notifications, but it still qualifies as wearable technology. Google is hot on Samsung’s heels with their Google Glass. Google Glass has been in the production lines for some years now but the initial batches are on line to be released soon. In below article, you will find my personal Google Glass Wearing Experience with Features Understanding Guide. 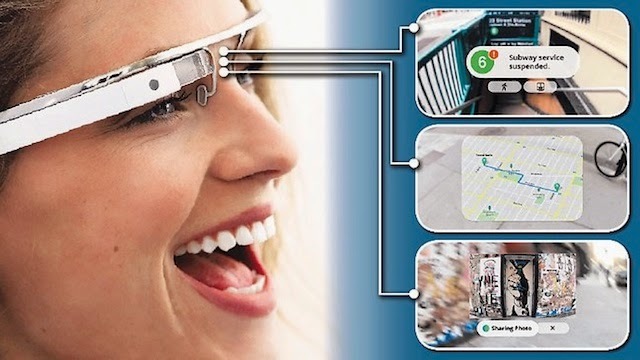 How to Use Google Glass Effectively and Efficiently? Google Glass combines the aesthetics of wearing spectacles and information being passed to you in a friendly easy to use manner. It is basically a pair of spectacles with a display that gives you information on the go. So, how does it feel to be wearing Google Glass. Before we answer that, how about we delve into the specs of the Glass itself. You will be wearing a pair of spectacles with a display. The Glasses have adjustable nose-pads and an extra strong frame that fits any face. You will also get extra nose-pads in two sizes. The display is actually equivalent to having a 25 inch display in high definition. The illusion is such that the screen seems to be 8 feet away. The camera on this superb Google creation is capable of taking photos at 5 megapixels, and recording videos at 720 pixels per frame. When it comes to the audio output of ‘Glass’, Google decided to use a relatively new technology called Bone Conduction Transducer. In it, sound is conducted through the bones of the skull to the inner ear. This gives a sound quality that is fuller and of lower. The transducer sits beside the wearer’s ear and any sounds received are inaudible to people who may be near you. You will be the only one in the now of what you are listening to. The greater advantage is that Google Glass can still be used with hearing aids and it maintains sound clarity while blocking outside noise. In connecting you to the world, Glass gives you Wi-Fi and Bluetooth. The Wi-Fi adapter is of the 802.11b/g class that assures you smooth and fast internet speeds for uploads and information downloads. These are then stored in a memory bank of 12GB that is synced with the Google cloud storage. There memory is actually a 16GB flash total. There is also a micro-USB port that can be used for charging as well. The battery life is typically one day of normal use but this reduces if you go to intensive functions such as video recording or taking part in Hangouts. The Glass is compatible with most phones that are equipped with Bluetooth and there is an app for its control. The app requires Android v4.0.3 or higher. It enables GPS and SMS messaging. Control of the Glass is via a touchpad located on the side of the Glass and voice activation. The wearer has to tilt their head through 300 upwards and then say “Ok Glass”. There the option of touching the touchpad and then saying the words. You can change the tilt angle preference from 300 to your preferred angle of tilt. There are other voice commands that can be used to take photos, get into Hangouts, get directions, and send messages and record video. Users of Google Glass have expressed varying opinions but they all agree that the Glass frees them up. From May 15th 2014, members of the public who had placed their orders for Glass will be receiving them soon and more pieces are in line to be produced. The Glass goes for a price of $1500. This is a shift from the previous requirement that users be invited to try out Glass. Try Google Glass today and experience the joy of wearable technology and an optical head-mounted display.